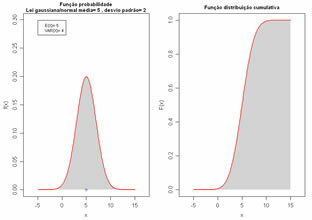 Plot the graphic of a Binomial distribution. 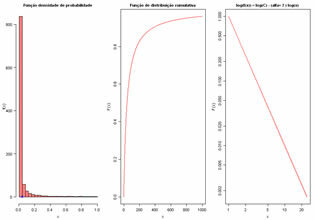 Plot the graphic of a Poisson distribution. 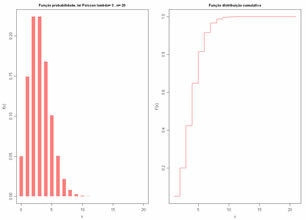 Plot the graphic of an Uniform distribution and draw a set of values from the distribution. 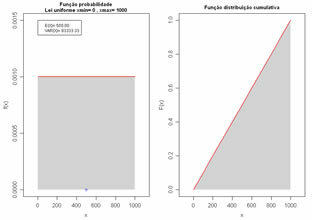 Plot the graphic of a Triangular distribution and draw a set of values from the distribution. 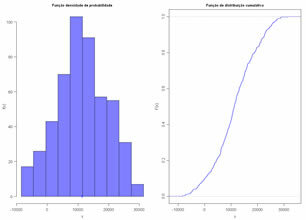 Plot the graphic of a Normal distribution and draw a set of values from the distribution. 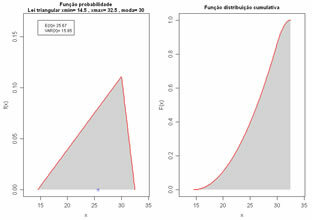 Plot the graphic of a Lognormal distribution and draw a set of values from the distribution. 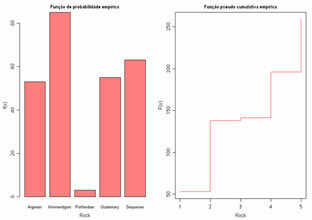 Compare several Normal distributions, with different means and variances, in the same graph. 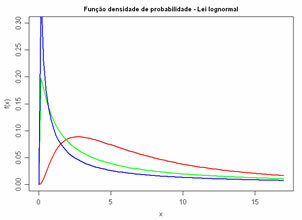 Compare several Lognormal distributions, with different means and variances, in the same graph. 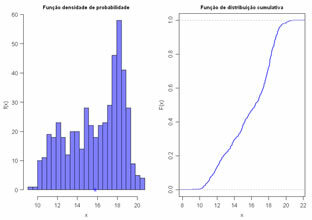 Plot the graphic of a Power distribution. 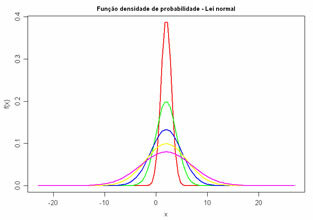 Plot the empirical distribution of a quantitative variable (simple histogram and cumulative histogram) and add the normal or lognormal distribution curve with the same mean and variance of the data. 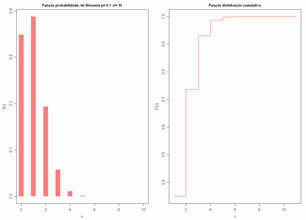 Plot the empirical distribution of a qualitative variable (simple histogram and pseudo-cumulative histogram). 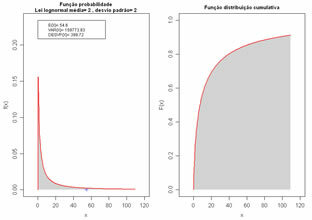 Use the Monte Carlo simulation to build a composite distribution mixing several normal distributions with different means and variances. 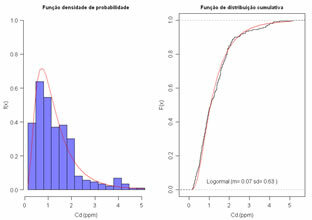 probs <- c(0.25,0.25,0.5) # proportions of each normal distribution, values must sum one.